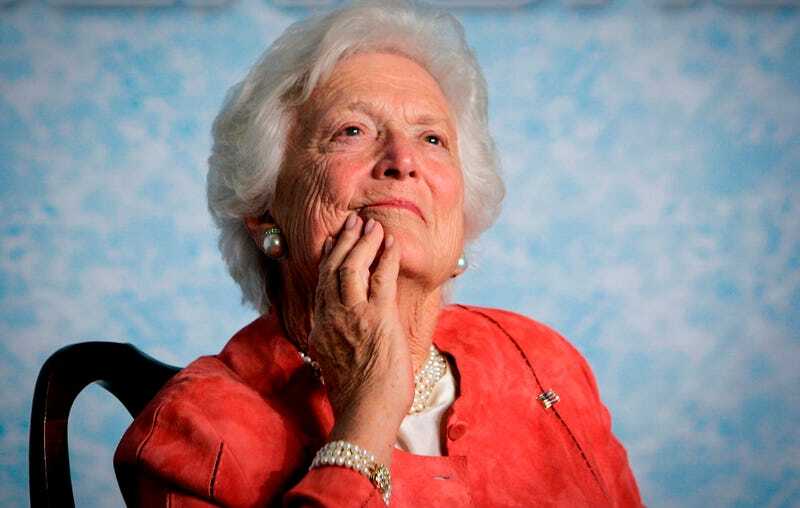 Former first lady Barbara Bush died at her home in Houston, Texas on Tuesday at the age of 92. The former first lady and mother of the 43rd president died shortly after she decided to stop receiving medical treatment for congestive heart failure and chronic obstructive pulmonary disease. The Associated Press reported Sunday on Bush’s decision to forgo further treatment for her failing health. Bush suffered several health scares over the last decade. The New York Times reported in Bush’s obituary that in 2008 she underwent surgery for a perforated ulcer, and she was hospitalized again in December 2013 for pneumonia. Bush is survived by her children, her husband, her brother, 17 grandchildren, and seven great-grandchildren.